Many years ago, on my blog (Blogatog on Tumblr), I created a scale, dubbed the Storm Scale, to indicate how likely I thought a mechanic was to return to a Standard-legal set, from 1 being very likely to 10 being very unlikely. It was called the Storm Scale because the mechanic storm was a 10. The scale existed so I could answer questions about how likely I thought a mechanic was to return. I would later write a column introducing and explaining the Storm Scale to all of you and talking about the likelihood of the Khans of Tarkir block mechanics returning. 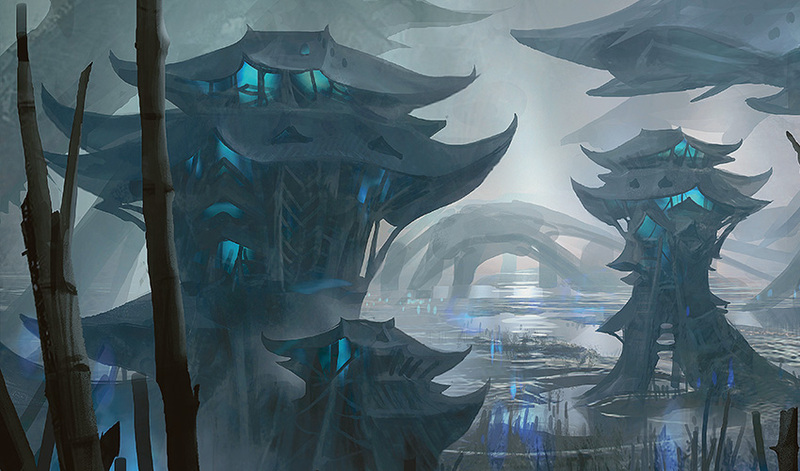 My second Storm Scale column was about the mechanics of Ravnica and Return to Ravnica blocks. My third Storm Scale column was about the mechanics of Zendikar and Battle for Zendikar blocks. My fourth Storm Scale column was about the mechanics of Innistrad and Shadows over Innistrad blocks. My fifth Storm Scale article was about the mechanics of Mirrodin and Scars of Mirrodin blocks. The Storm Scale was so popular on my blog that it has spawned numerous other scales. This article and next week's column are about one of these—the Rabiah Scale. The Rabiah Scale is about how likely we are to return to a plane in a Standard-legal set. It's named after Rabiah, the setting of Arabian Nights, because Rabiah is a 10 on the scale (aka we're very unlikely to return there). In today's column, I'm going to explain the various factors that go into predicting whether we'll return to a world and then rate each one on the scale, with 1 being very likely and 10 being very unlikely. This criterion is very similar to the Storm Scale. Basically, did the audience like it? The more all of you like a particular world, the greater the chance of its return. I'm using data wherever I have access to it, but some of the earlier worlds, I'm using more anecdotal evidence as we didn't do market research in the early days. Very Popular – This means that through our market research, this world falls in the top 25% of worlds of all time. Note that all these categories are comparing the current worlds against all the worlds we've done (well, since we started doing market research many years ago), so getting in this top section is difficult. Popular – This means that through our marketing research, this world falls above the average, but not in the top 25%. Liked – This means that through our research, this world falls below average but not in the bottom 25%. I should note that we aim for our average to be well liked, so being below average doesn't mean the majority of players don't like it, just that there are other worlds they like more. Being in this category doesn't automatically keep you from having a chance to return. Unpopular – This means that our research puts this world in the bottom 25%. Falling in this last section does decrease the chance of a return. This category examines whether the world has mechanical associations. Is there something for us to mechanically design around? Is there a component that the audience associates with this world that would create excitement for its return? Strong – This means the world is strongly associated with one or more mechanical components. This makes it easier to design, more likely to excite players, and increases its chances of a return. Average – This means the world has some mechanical associations, but they are not as strong as they could be. Weak – This world has little to no mechanical associations. This decreases its chances of a return. This is the companion to the mechanical identity category. Instead of looking at mechanics though, this category looks at the creative elements—the cosmology, the look and feel, the inhabitants, the locations. Do all of them have a strong cohesive feel that makes the world feel like a single unified world? The more the world has a creative cohesion, the easier it is to return to it and the more excited the players will get upon learning of a return. Strong – This world has a very clear identity. For example, if you saw a random card, you'd know in a heartbeat that it came from this world. Average – This world has an identity, but one not quite as crisp and delineated. Weak – This world's identity is not as cohesive as we like worlds to be. This category examines what space there is to create new things in this world. Sets, even returns, have to introduce new material. Is this world set up to allow new exploration? A big part of this category is how much the earlier visit(s) did to hint at other aspects of the world. The more room for expansion, the easier it will be to return there. Significant Room for Expansion – This means the world has many new things to explore in a return. Some Room for Expansion – This means the world has some new things to explore in a return. Minimal Room for Expansion – This means the world would struggle to find new things to explore. This category talks about what story threads were left last time we were there. In other words, does returning to this world allow us to finish telling a story we started when we were there last? Note that this is weighted by how much the audience cares about a certain storyline. Major Plot Line – This world set up a story or stories that players have been asking about. Minor Plot Line – This world set up a story or stories that players have been asking about, but less. Minimal/No Plot Line – This world set up a story or stories that players have not been asking about or didn't set up any stories. With all that covered, let's start talking worlds. I'm going to be going in alphabetical order. Players liked the individual shards more than they did the world as a whole, and the popularity of the shards varied quite a bit with Esper being the most popular and Naya being the least. When all the data was collected, this set ended near the top of the bottom half (although individual shards ended up in the top half). Alara is the arc (or shard) world, mechanically speaking. That is, it's about three-color combinations where each group is a color and its two allies. There simply isn't a way we could return without three color arcs playing a major role. That's both a curse and a blessing. It's a positive as we know what we need to build around and what players would expect. It's a negative as three-colored worlds are very hard to build without impacting Standard in problematic ways. (If you enable three-color play, you essentially enable five-color play and the color pie acts less as a safety valve.) Additionally, each world has its own mechanical identity. The biggest problem with this is they don't all blend well with one another, making Limited hard to design. Alara is an odd world in that in many ways it's actually five worlds, as the story began with each shard living in isolation with one another. The individual shards each have a very clear creative identity. The problem is on our first visit, the shards started coming together which makes this world's identity a bit muddled as five yummy flavors don't necessarily mix into one tasty concoction. Alara has five different unique worlds built into it. It has issues, but space to expand is not one of them. The Shards of Alara block story wrapped up without any major threads. The biggest reason to return story-wise is that some of our major Planeswalkers (Ajani and Tezzeret) are from Alara. Alara is a world with a lot of issues for a return. It has a strong mechanical identity, but it's something that has execution issues. The individual shards have a strong creative identity, but less so as you blend them together. There are reasons the story could want to return to Alara, but nothing is forcing us there. I gave it a 5 because I believe there's a better chance we'll return than not, but it's far from a sure thing. The audience mostly enjoyed the visuals of the world, but found it to be a bit of a downer. Numerous people have asked if we could see the world before Bolas visited it. The mechanics were all tightly tied to the world and the feeling the set was trying to create. Some of the mechanics played up the Egyptian influence while the others played up the Bolas influence. How (and maybe when) we returned would impact which mechanical components we'd want to use. The block ended by blowing up Amonkhet as we knew it. That complicates a return. There was talk though of a world beyond the walls of Naktamun (where the Amonkhet block story took place), so maybe there's a different part of Amonkhet to see. Hour of Devastation pretty emphatically ended the Amonkhet block story. There might be some survivors though (Hazoret, for instance, didn't die on camera), so maybe there's some additional story to be told. Also, Samut is a Planeswalker from Amonkhet, so maybe there's a story about her return. On the plus side, players generally liked the world and it has a lot of mechanical and creative elements that could be used for a return. On the minus side, it kind of got blown up, making a return trickier than many other worlds. Dominaria is where Magic started and is the home of over 20 sets, more than any other plane by a significant margin. It's much beloved. The downside of being the home to so many sets is that it's hard to have a mechanical identity when you've done such a plethora of different things. Before Dominaria, I would have given this a Weak, but Dominaria did a lot to reframe the world as the plane of history. Assuming future returns play into that theme, I think we can build Dominaria into having a strong mechanical identity. Much like mechanical identity, creative identity is hard when you've had so many different takes on the world. Dominaria did a lot of work though helping to define a creative identity for the world and I also believe if we build on that in future returns we can get this category up to Strong. Dominaria has many issues, but spaces to explore on returns is not one of them. We could limit each return to a specific continent and still have endless content. Dominaria introduced a host of new characters as well as reintroducing numerous others. While the set resolved a few of the issues, there was plenty left open to pick up on a return. There are few sure things in Magic, but I'd say an eventual return to Dominaria is one of them. Dominaria being a smash hit all but ensured we're going back one day. Probably the biggest strike against Fiora is that not everyone knows the world because it's only existed in supplemental products aimed at players interested in both drafting and multiplayer play. Fiora is closely associated with Conspiracy sets, so it's thought of as a world tied to drafting and multiplayer play. This makes moving it to a Standard-legal set trickier because it would have to carve out a new mechanical identity. Fiora has a very clear look and feel. While its mechanical identity is hard to port over to Standard, its creative identity is not. Our worldbuilding for supplemental sets is not as exhaustive as our Standard-legal sets, so Fiora used up most of what had been built for it. There are clearly new areas that could be extrapolated, but not a lot was previously built in. Both Conspiracy sets had a little bit of story. A return could pick up on one or more of those plotlines. Also, multiple Planeswalkers (Dack Fayden, Daretti, and Kaya) have spent time there. Fiora is a cool world, but it has a lot of challenges, especially mechanically, for being a Standard-legal setting. I believe the greatest chance of it happening hinges upon it playing an important role in the storyline. Innistrad is one of the most popular worlds in the game (along with Ravnica and Dominaria). Players simply adore the Gothic horror feel of the world. Innistrad is a top-down world that captures the feel of the horror genre. It makes use of the graveyard, monster tribal, and lots of individual cards that play into various tropes. It also is the world that introduced transforming double-faced cards to the game. Innistrad has as tight a mechanical identity as they come. Innistrad's creative identity is as strong as its mechanical identity. The fact that the two are so closely interwoven makes Innistrad one of the most cohesive overall worlds we have. Innistrad has two whole different things it can explore. One, its worldbuilding has been very rich and there are many areas that have been hinted at but not yet fully explored. Two, the horror genre has many different facets that we could tap into when expanding the world. All in all, Innistrad has plenty of space to play in on returns. Numerous major storylines have run through Innistrad, and many of them have not been resolved yet. A return to this world has lots of story ramifications. The players love the world. It has a very tight mechanical and creative identity which are tightly interwoven. It has lots of room to explore and storylines to pick up. This is another world that seems ripe for a return. We do market research multiple times for each set. The world of Ixalan is a world that started higher initially and went down over time. My guess is that players liked the concept of the world and were unhappy with some of its execution, particularly in gameplay. Ixalan was clearly a tribal world build around four factions. A return to Ixalan would have to at least acknowledge those tribes playing an important role. Beyond the tribal theme, the set has a bit less mechanical cohesion and a return would probably require us working to give it a stronger mechanical identity. This is a good example of a world where I feel the mechanics brought down a stronger creative. The factions were all very flavorful and I believe were liked in isolation external from the mechanical implementation. In short, I think players wanted to like the Dinosaurs and Pirates (and to a lesser extent the Vampires and Merfolk) more than the sets let them. For starters, there's an entire other continent talked about but never seen (where the Vampires came from). 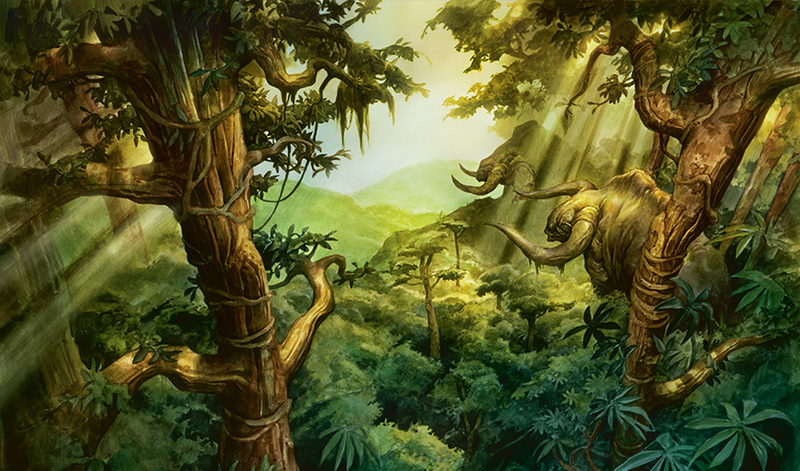 In addition, Ixalan hinted at many facets of the current continent that a return could show off. 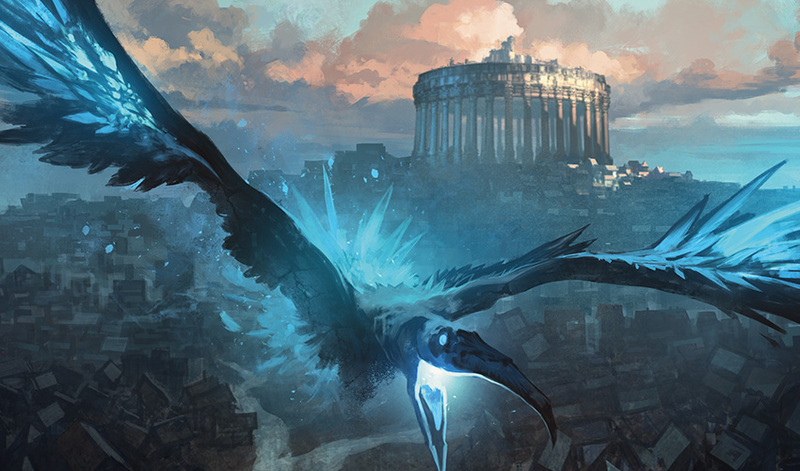 Angrath, Huatli, Azor, Angrath, Vraska, and Jace all have a tie to Ixalan, and any of them could play a role in upcoming storylines. Ixalan is an example of a good world hurt a bit by suboptimal mechanical execution (and I say this as the guy who chose to make it a tribal set complete with the color combinations it has). I think one day we'll come back and take a second shot at this world, probably with a slightly different mechanical approach (although with all the tribes still there even if the tribal component is lower). Kaladesh is probably the world where the player reaction to it is most mismatched with what I expected. The world definitely has its fans, but overall it's in the bottom half of responses. Kaladesh is an inventor world intrinsically tied to artifacts and energy. It also has a strong Johnny/Jenny vibe. The fact that we messed up the power level of the world and it caused a lot of strain on Standard (leading to numerous bannings) doesn't help its return. I don't think we would come back without energy, and that has numerous design (especially Play Design) challenges built into it. If one of the tests is being able to pick out a world from just seeing a piece of art from it, Kaladesh passes with flying colors. It's very much its own distinctive world, one with a look and feel all its own. When you dig into the responses to the world, there are two that pop out. Some feel it pulls too far away from fantasy toward science fiction. Others feel the Indian inspiration wasn't engrained deep enough into the world. Kaladesh block mostly focused on a single city. There are whole swaths of the world still to explore. Most of the major storylines on Kaladesh got resolved. There were areas left to explore but mostly not ones that tie into the bigger story. Kaladesh being Chandra's home world and where her mother lives are probably the biggest things that could drive us to want to return from a story perspective. A return has numerous mechanical and creative challenges to deal with, but the world does have a strong identity and it is Chandra's home world, so my gut is we're more likely to return one day than not. Of all our polling, this is the world that had the lowest ratings. Even in modern times when we ask about older worlds, Kamigawa ranks at or near the bottom. That said, there's a small but loud enfranchised minority that's very passionate about Kamigawa, so it's a topic that comes up a lot on my blog and on social media. Kamigawa block didn't do a great job of creating a strong mechanical identity. The set was designed top-down, but it doesn't have the mechanical cohesiveness of a set like Innistrad. The loudest component surrounded the Kami (aka the Spirits), but that was trying to play up the war that was the key conflict of the block and probably wouldn't play as big a role in a return. Kamigawa was very faithful to its source material, but played around in a lot of spaces that weren't very resonant for the majority of the audience, making the set feel more "weird" than focused. It definitely has a distinctive look, but not one that scored well in the market research. Again, through the lens of time and the Commander format, it has built up some new fans. The Kamigawa block took places over a thousand years ago from a story perspective, so a lot could change with a return. The biggest issue isn't what new could be there, but what old things would be expected. I've spent a lot of time on social media asking what players would expect upon a return, and the expectations are pretty broad. The biggest desire is a return of many of the creature types which each come with their own baggage. The Kamigawa story mostly ended, but there are a few threads one could pick up, none which tie all that much into the modern story. The best potential for a storyline surrounds Tamiyo, a Planeswalker from Kamigawa. Most of the glimpses of Kamigawa through the modern story are seen through Tamiyo, so any return would probably have to focus on her. As I've explained numerous times on social media, this return is a tough sell for me to make internally based on how disastrous the first visit went. The biggest factor that a return hinges on is how much are we allowed to change and still call it Kamigawa. The set has minimal mechanical space we want to return to and many creative choices we would do differently if we started over with the source material. I wouldn't count out the chance of a return, but it's not a big one. Of all the worlds since we started doing market research, Lorwyn scored the second lowest (ahead of only Kamigawa). Shadowmoor did a little better, but still not great. Lorwyn was a tribal block and Shadowmoor was a hybrid block. That messaging was very loud and clear. The biggest issue for a return is neither execution was something we were happy with. Lorwyn was too siloed (the separate creature types didn't work well enough together) for a tribal block and Shadowmoor was too dense (we weren't able to make enough true hybrid designs to fill all the space) for a hybrid block. This means a return to either has some design issues that would have to be addressed. Lorwyn actually had a pretty clear creative identity; it just wasn't something that resonated with the majority of the players, meaning a return would require significant tweaking. Shadowmoor was a bit muddier with the creature types taking a hard turn between Shadowmoor and Eventide. A return would require a lot of creative work to adjust the issues. Finding places to expand that don't play into the issues that caused Lorwyn's unpopularity the first time around will be tricky. There was no Planeswalker story when Lorwyn was out, even though planeswalker cards premiered in it. 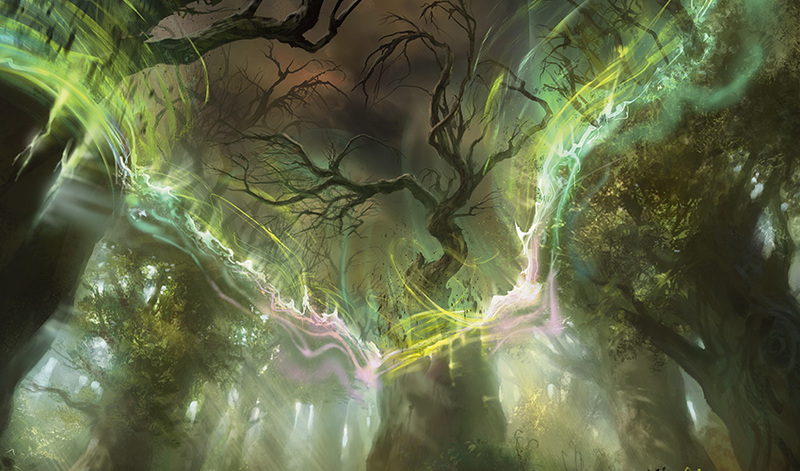 We have since learned that Nissa traveled to Lorwyn when she first sparked, but other than that, there aren't a lot of modern story elements tied to Lorwyn. Lorwyn has a bunch of challenges to overcome for a return. The best thing it has going for it is that the concept of a plane that shifts between two states is fruitful material for storytelling. Also, it's possible that as Magic has grown and gotten a broader audience, the "softness" that caused much of the negativity the first time around might have more of an audience. That's all the time I have for today. I'll have to get to the rest of the planes next week. As always, I hope you enjoyed this column and I'm eager to hear your feedback, not just about the article but about the scale and any of my rankings. You can email me or contact me through any of my social media accounts (Twitter, Tumblr, Instagram, and Google+). Join me in two weeks when I grade the rest of the major planes. Until them, may we return to your favorite plane.